Many users of accounting software secretly (and often not so secretly) wish that their programs could be customized so that they more tightly fit the needs of their business. Unfortunately custom programming often proves to be both expensive and time consuming. With Sage MAS 90 and MAS 200 there is a large catalog of customizations that have already been written and can be purchased for a fixed fee. Examples of Extended Solutions include Multi-Company processing for General Ledger and Accounts Payable. 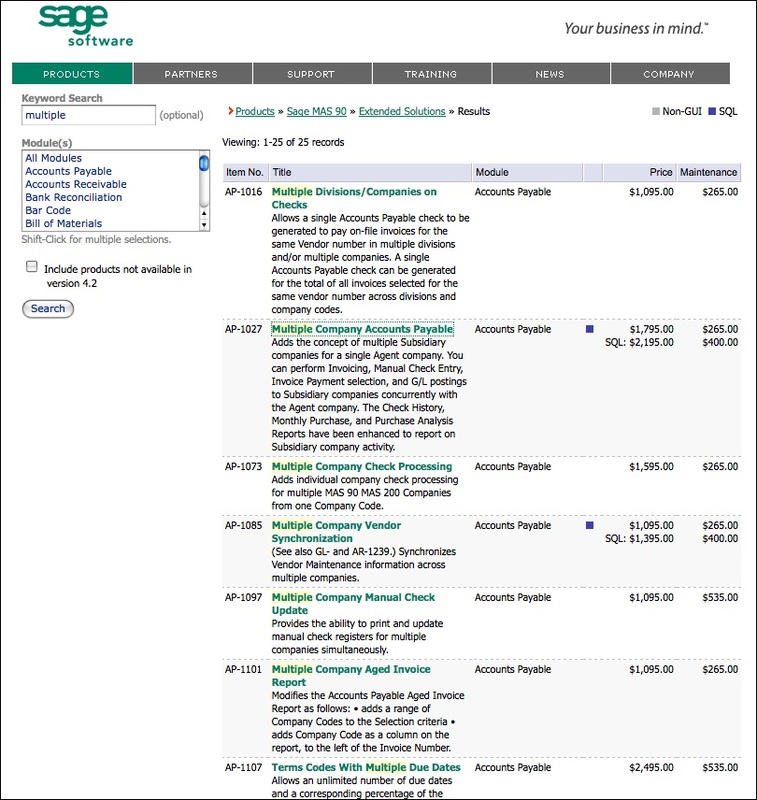 With this enhancement you can have one master company processing accounts payable invoices and checks for dozens of subsidiaries. The entire due-to and due-from process is managed by the enhancement (See AP-1027 – Multiple Company Accounts Payable which provides just this functionality for only $1,795 + $265 Maintenance). 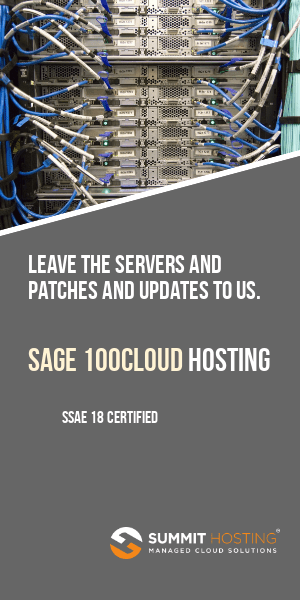 What’s so powerful about these Extended Solutions is that not only do they save you the initial development time (and money) – but as the Sage MAS 90 and MAS 200 programs are upgraded you receive the enhancements at your current level for no extra charge. 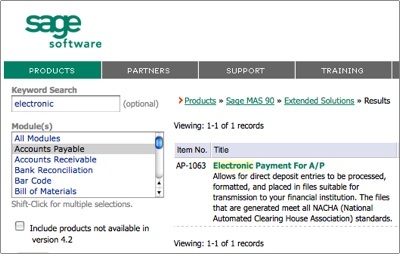 Selecting and searching for an Extended Solution for Sage MAS90 and MAS200 is easy. Simply log into the Extended Solution Site and search for your desired functionality. Once located, you’ll see a screen with the cost, description and a link to the full product manual. Tip: Not everyone knows this, but all of the Extended Solutions may be requested as a free trial. They will ship you the solution so that it only operates on the dummy data company code and with certain other restrictions. This gives you a chance to “try before you buy” – something not available with most other custom programming. How many enhancements am I looking to purchase (Rule of thumb: Under 6 is probably ideal with most companies using only one or two). Am I willing to wait an extra month or two after the main MAS 90 or MAS 200 program has been updated for my ehancements to be ready (This is the typical wait time). Will I be using third party vertical solutions like Job Ops or ACS Service Managemenet which may conflict with Extended Solutions? In general we strongly recommend the use of Extended Solutions to our clients. When a pre-written customization is required it is our favored solution based on the sheer numbers of enhancements available as well as the positive feedback we receive from our clients.